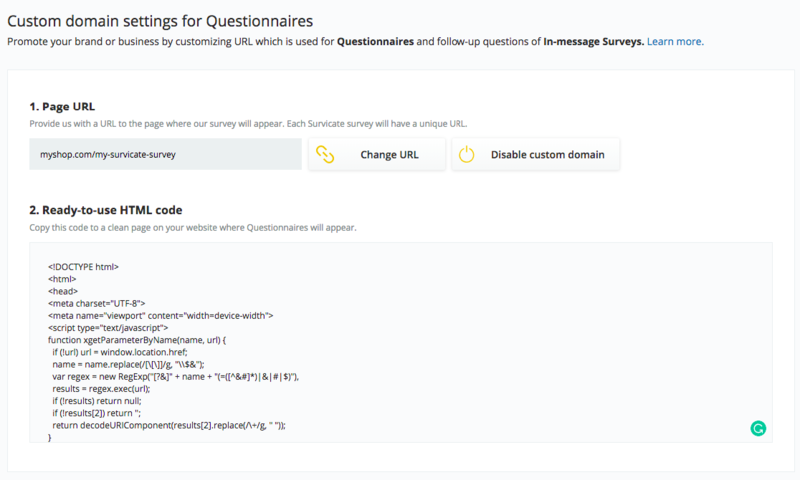 To host surveys on your own domain, you need to create a new blank page of your website. For example, when you have a domain with the name of myshop.com you need to create the blank page with the URL myshop.com/my-survicate-survey. Then all you need to do then is go to Settings > Addons > Custom domain, paste the URL of the blank page into the box and click save. After you save your URL, you will be provided with HTML code. Paste the code into a source code (HTML code) of your blank page. ❗️Keep in mind, that the code consists of both <head> and <body> parts, so the page needs to be completely clean. 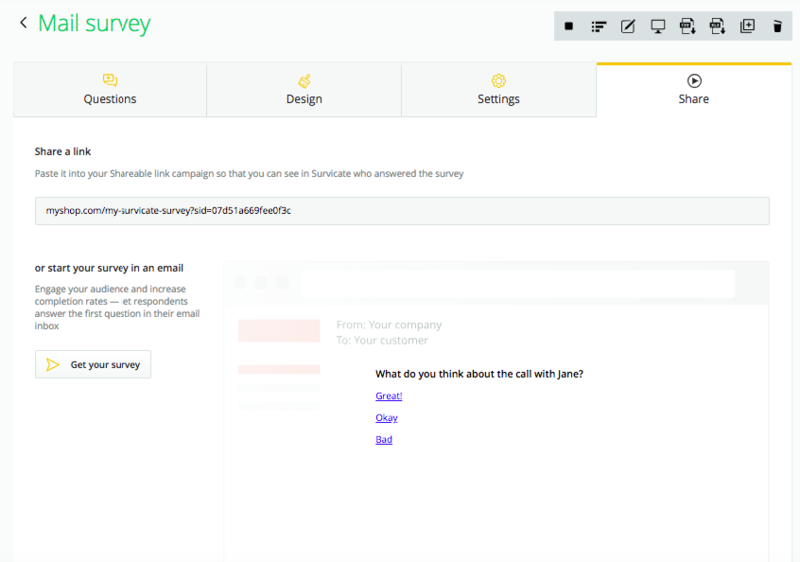 Once you started hosting survey on your domain, you can distribute them. Just paste the link in the email or hide it in a call-to-action button. As you can see below, the link domain has changed from survicate.com to the domain you have set up. ✅ Setting up the domain is a one-time operation. For each new survey the domain will stay the same, only the end of the link varies. If you want to stop hosting surveys on your domain, just go back to Settings > Addons > Custom domain and you will see the button Disable custom domain. Please be aware that the old hyperlinks redirecting to your surveys will not be working, as URLs of surveys will change to the one with our domain (survey.survicate.com). 📞 As always, if you have any questions about that, please reach out to our team via messenger in the bottom-right corner of your account.